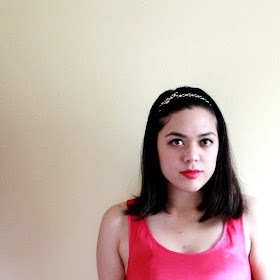 Because our latest Swap & Style happened to have two pieces with a little bit of pink, Katrina and I just had to post them this month for Valentine's Day! I sent this oversized gray sweater tunic over to Katrina. The bottom is adorned with pink tulle on the bottom and tiny rhinestones. It's unabashedly girly, but it's also casual and comfy due to the slouchy fit. It's got a bit of a lounge-y ballerina thing going. I like that we're posing almost the same. And we even have the same color palette going on! Great minds. I wore it to a fashion show a few months ago. It was warm outside, so I wore it as a dress--all I had to do was wear a slip underneath. 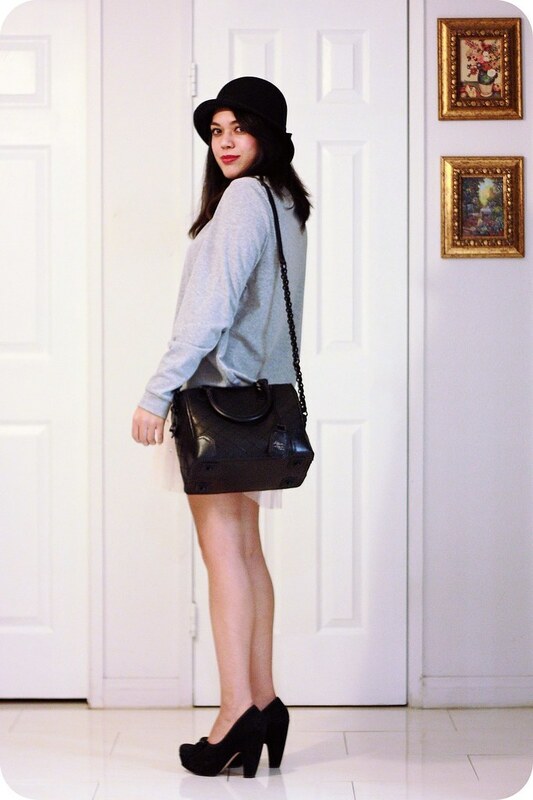 I accessorized with a black cloche hat, my black leather Alice + Olivia satchel, and black pumps from Seychelles. Katrina creatively styled the sweater with layers. I love the detailing on the quilted vest and how it contrasts nicely with the sweater--I would've never thought to pair it with something like that! Her pink bow purse also brings out the pink tulle. Part II will be coming in a couple of weeks (more pink!). 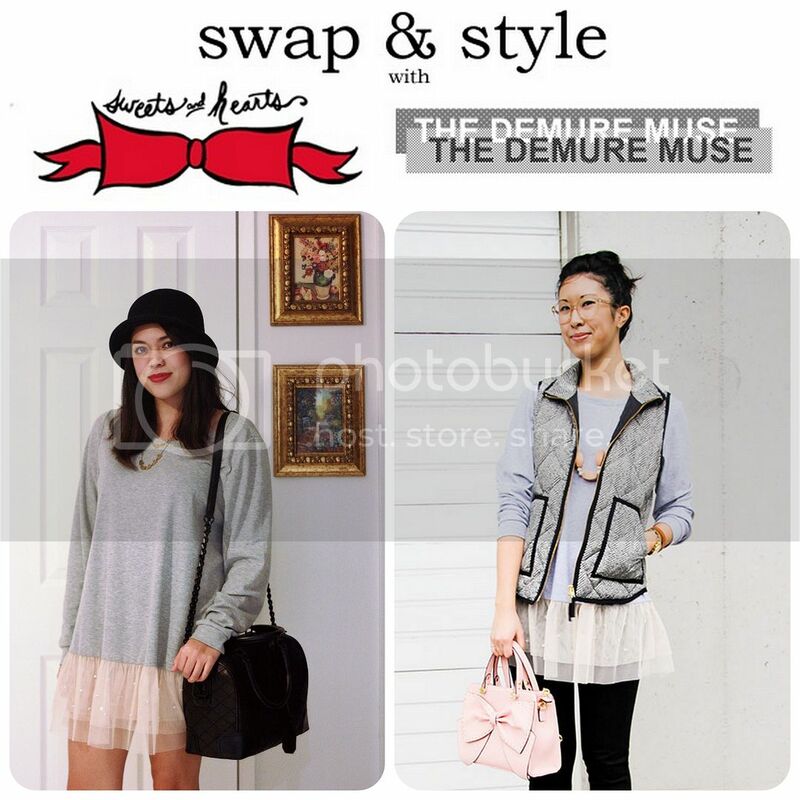 Check out our past Swap & Style posts in the meantime and be sure to visit Katrina over at her blog.